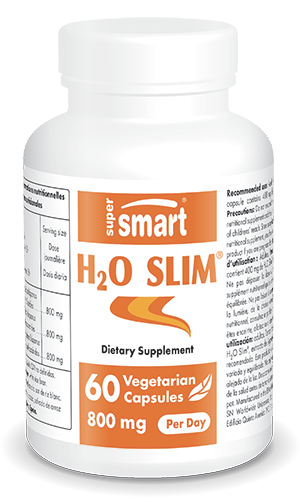 • Our dietary supplement H20 Slim® offers the opportunity to benefit from a new discovery relating to weight loss. This product is formulated from an extract of Agaricus bisporus, better known as the common or button mushroom. Although one of the world’s most widely-consumed mushrooms, it has been largely ignored in terms of research into its health effects. However, a team of Spanish scientists has now made an unexpected discovery, revealing that this mushroom could act as a natural ‘fat-trapper’. • Their study on Agaricus bisporus revealed that certain compounds in this species may have an effect on fats or lipids, potentially linked to the mushroom’s content in a type of polysaccharide called mucopolysaccharides. These have a tendency to capture the fat present in food and may, as a result, reduce fat absorption and facilitate its elimination. This represents a significant aid to those who wish to achieve effective, long-lasting weight loss. • Popular for its flavour, the button mushroom is also prized for its exceptional composition and health-beneficial properties - and with good reason. Low in calories, it is also an excellent source of vitamins and minerals, substances vital for good health. In particular, it is a source of vitamin B2, B3, B5 and B9, and of potassium, copper and selenium. Some researchers also believe it has anti-cholesterol properties and that it stimulates the body’s natural defences. Some of the button mushroom’s properties are remarkably similar to those of another well-known species: Ganoderma lucidum, better known by the Japanese name reishi. Sometimes called the ‘mushroom of immortality’, reishi is also available to purchase from the Supersmart catalogue (Reishi Extract 500 mg). • This new H2O Slim® supplement is formulated from a high quality extract of Agaricus bisporus, obtained from European mushrooms grown in non-alkaline soil. The production method allows for a formulation with an exceptional mucopolysaccharide composition. Tests conducted on the product have so far shown no sign of toxicity. Easy to use, this slimming supplement is available in capsule form, each containing 400mg of Agaricus bisporus extract, with a suggested dose of two capsules a day. For optimal efficacy, each capsule should be taken 30 minutes before a meal. This natural ‘fat-trapper’ represents an invaluable aid for supporting a weight-loss or slimming regime. Each capsule contains 400 mg of H2O Slim®, extracted from Agaricus bisporus.